On 22 May 2018 the Lonely Planet – the world's leading specialized media for travel content and the publisher of the famous travel guide – announced its respected contributors and experts this year picked the Vipava Valley among Europe's top ten most worthwhile summer destinations. 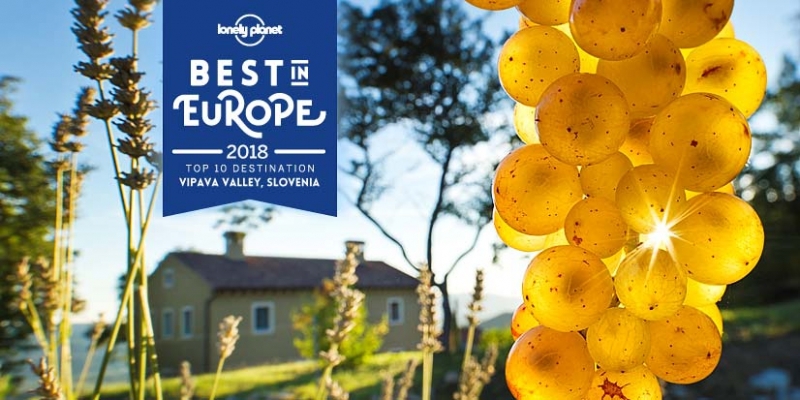 The Vipava Valley enjoys the outstanding company of top European destinations in the selection Best in Europe 2018, where the Lonely Planet presents the most exciting yet underrated places across the continent. With this selection, the Lonely Planet's expert panel showcases lesser-visited regions, alternative city breaks and hidden travel gems. 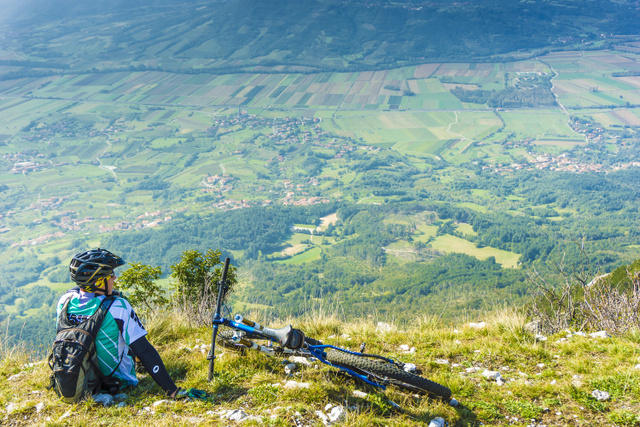 The Vipava Valley enters the top ten list as a surprisingly tucked-away jewel that never fails to impress the lovers of wine and outdoors adventure. 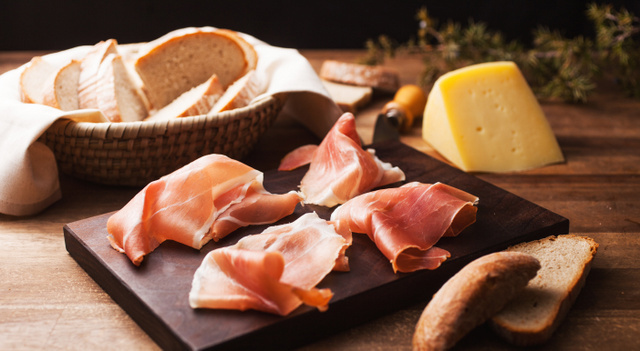 To explore its delightful beauties and rich wine offer, Lonely Planet writers advise visitors to the Vipava Valley to look at guided cycling tours along its pleasant countryside roads, with stops for some traditional specialties and a chat with the locals along the way. 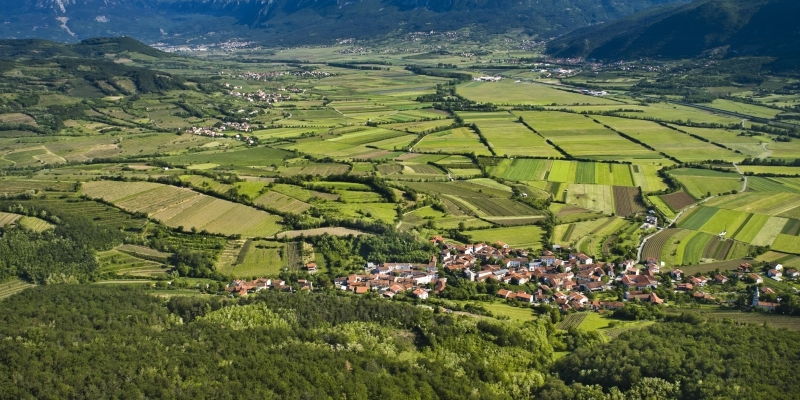 The Vipava Valley tends carefully to its uniquely different appeal. What's perhaps most charming, its experiences of pristine nature, excellent wine, wholesome delicacies and variety of ways to spend active time outdoors are available all year round. A richness of qualities that did not escape Lonely Planet. The Vipava Valley stretches from the valley of the Vipava River to the Nanos Plateau, Hrušica Plateau and the southern part of the Trnovo Forest, and is closed by the Vipava Hills to the south. The valley starts east of Podnanos and ends just on the border with Italy in Nova Gorica, Šempeter pri Gorici and Miren, opening up to the Friuli Plain, Italy, to the west. The uniform geographical area is astonishingly diverse in terms of geology, yet homogenous in terms of traffic, economy and culture. The municipalities made a concerted effort to present their offering consisting of unique sites and exquisite wine and food, coupled with active leisure opportunities in an unspoilt natural setting. 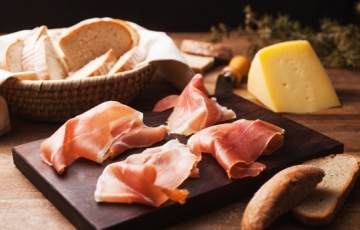 Thus, they set out to create the Vipava Valley destination brand which combines natural features, leisure opportunities, special event highlights, wine and food providers, sports activities and accommodation facilities. The brand is a joint endeavour administered by all municipalities, with the Municipality of Ajdovščina acting as the coordinator in collaboration with the Regional Development Agency ROD.